The Texas Education Agency is a branch of the state government responsible for public education. TEA is responsible for the oversight of public primary and secondary education in the state of Texas, involving both 1,236 individual school districts in the state as well as charter schools, and more than 4.8 million students. TEA responsibilities include serving as a fiscal agent for the distribution of state and federal funds, overseeing development of the statewide curriculum, administering the statewide assessment program, managing the textbook adoption process, and administering a data collection system on public school students, staff, and finances. The State Board of Education (SBOE) is an elected 15-member board that guides and monitors activities and programs related to public education and is managed by a Commissioner of Education, who is appointed by the Governor of Texas. The State Board for Educator Certification (SBEC) oversees all aspects of the reparation, certification, and standards of conduct of public school educators. There are 11 members on the board who are appointed by the Governor, and three non-voting members. TEA provides staff support to the SBEC board. In order to serve the large number of individual school districts and charter schools in Texas, TEA is divided into 20 regions, each containing an Educational Service Center. The 20 Education Service Centers are non-regulatory agencies whose purpose is to aid administrators and teachers by acting as a liaison between TEA and the local school districts and disseminating information, supplying teacher resources, and conducting training and consultation for both federal and state programs. Supported by state and federal funds, as well as by fees assessed for services and tools, they provide professional development in areas such as technology, bilingual education, special education, gifted and talented education, and programs for at-risk students. In addition, they offer alternative teacher, principal, and superintendent certification programs. The State Board of Education periodically updates the state’s curriculum standards called the Texas Essential Knowledge and Skills (TEKS). Textbooks and other instructional materials are then written for children based on those standards. More than 48 million textbooks are distributed by TEA to Texas public school students each year. 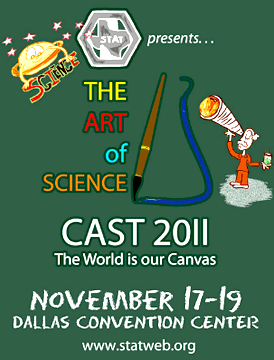 In fall 2011, the State of Texas Assessments of Academic Readiness (STAAR) will replace the Texas Assessment of Knowledge and Skills (TAKS). The STAAR program includes annual assessments for grades 3–8 in reading and mathematics, in writing at grades 4 and 7, in science at grades 5 and 8, in social studies at grade 8, and end-of-course assessments for English I, English II, Algebra I, Biology, and US History. The Career and Technical Education (CTE) Unit provides direction and leadership to the CTE programs throughout Texas. Career and technical programs are dedicated to preparing young people to manage the dual roles of family member and wage earner. They enable students to gain entry-level employment in a high-skill, high-wage job, and to continue their education. CTE staff assists districts statewide with implementation of the Texas Essential Knowledge and Skills (TEKS) for CTE, collaborates with various professional organizations regarding CTE programs, and assists in overseeing the textbook adoption process for CTE instructional materials. The Texas Education Agency requires that everyone interested becoming a teacher in the Texas public school system have an educator certification. This is awarded after satisfactory performance on comprehensive examinations. These examinations are given to ensure that each teacher has the prerequisite content and professional knowledge necessary for an entry-level position in the state public schools. The examinations are called the Texas Examinations of Educator Standards (TExES) and are criterion-referenced examinations designed to measure your knowledge in relation to an established criterion instead of to the performance of other test takers. All of the tests in the TExES program contain multiple-choice questions. Some tests also have additional types of questions such as open-ended written or oral responses. The foundation for the TExES series are the TExES Educator Standards which, in turn, are based on the Texas Essential Knowledge and Skills (TEKS). Each TExES exam is administered by a testing vendor, currently the Educational Testing Service. Test takers need to register and get an approval to test. If you want to become certified to teach any science in secondary school, you will need to take exam 160, Pedagogy and Professional Responsibilities (EC-Grade 12) and exam 136, Science (Grades 8-12). If you want to be certified in a specific science content or want more information about individual exams and their composition, see the preparation manual for each exam. Almost everyone has heard of the Google search engine. About two-thirds of all web searches begin with it and to search the World Wide Web is to Google it. 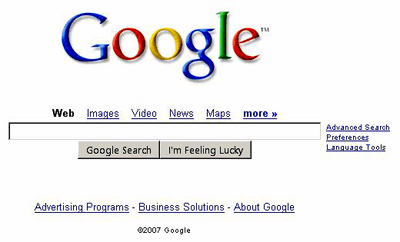 Google Search was originally developed by Larry Page and Sergey Brin in 1997. The order of search results on the Google search page is based on a priority rank algorithm called PageRank. The main purpose of Google Search is to hunt for text in publicly accessible documents offered by web servers. For other publicly accessible web data, such as graphics, there is instead Google Image Search. Google searches for the terms you entered as well as any related terms. Any words appearing in boldface type in your search results are the terms that Google associates with your search terms. Remember to choose effective key words by determining the most important words in your search query as well as any synonyms. Small words (a, an, the) will matter when they distinguish between two similar entities. The same goes for punctuation. Google searches for some ($, #, and +) while ignoring others (¶, §, £, €, ©, ®, @, ÷, %, ?, !). By the way, using the plus sign in your search query does not mean the logical operator AND. It also does not force the inclusion of a search term. Remember, a white space between terms is the default AND operator. Google will search for certain plus signs after a word as punctuation (C++). Google Search has shortcuts or quick search features that include calculations, unit conversions, word definitions, file extensions, airline flight data, specific site searches, stock quotes, sunrise and sunset times, global times, package tracking numbers, weather data, and web site ownership information. If you want to see airline flight schedules to or from a particular location, use flights to or flights from followed by the city or airport name. If you want to view the airline schedule for a specific route, add the name of another location with from or to in front of it. If you want to see the status for departing and arriving US airline flights, enter the airline name and the flight number. If you want to see the current stock market data for a given company or fund, use the ticker symbol as your query. You can click the link on the search results page to see more data. If you want to see the precise sunrise and sunset times for US and international cities, use sunrise or sunset followed by the name of the city. The time will be the local time for the city. If you want to see the local time in various cities worldwide, use the word time and then the city name. You can track the status of the shipment of your packages by entering the package tracking numbers from Federal Express, United Parcel Service, or US Postal Service. If you want to know the weather for many US and international cities, use the word weather in front of the city and state, US ZIP code, or city and country. The Google search results page will often contain information panels. Information about certain topics (chemical elements, movies, famous people, landmarks) will appear on the right-hand side of the search results page. On the left-hand side will be a panel to filter results by different categories (books, scholarly citations, patents, blogs, discussions, recipes, legal documents). An alternate way of looking up the meaning of words is to click on Search Tools in the left panel, and then Dictionary. By clicking More search tools on the left panel of your search results page and then selecting Translated foreign pages, you can even search in languages other than English. This feature chooses the best language in which to search and delivers results translated back into English. You can limit search results to those returns that were published during a specific time period. Click on Search Tools in the left panel and then select the appropriate time range. Advertisements will appear in response to some queries, but they are always labeled as ads.